If you are a teenage or young driver and you are hitting the road for the first time, there are certain dos and don’ts that you need to know about driving. Driving a car for the first time is a significant moment and will certainly make you feel nervous. However, you can overcome this nervousness without any difficulties provided you follow certain safety tips. Some of them have been discussed below. Before starting with your car, it is of primary importance that you become familiar with the basic controls of the car including levers, switches, seatbelts, lights, pedals and blinker and their positions. Learning how to brake and turn the car is of utmost significance. You can use an empty parking lot to practice all these. While driving, the priority for any driver is to stay attentive. If there is a possibility that your co-passenger may cause distractions, don’t take him/her. In this type of a situation, it is sensible that you drive alone. You have to keep in mind that you are undergoing the learning process. Don’t play loud music while you drive. It’s better not to use a cell phone and keep it in a silent mode if carrying it is absolutely necessary for you. Don’t drink alcohol before driving. Visibility is an important factor in safe driving and you need to keep your windows and lights clean to ensure better visibility. The safer the car is, the better it is for the teenage driver. 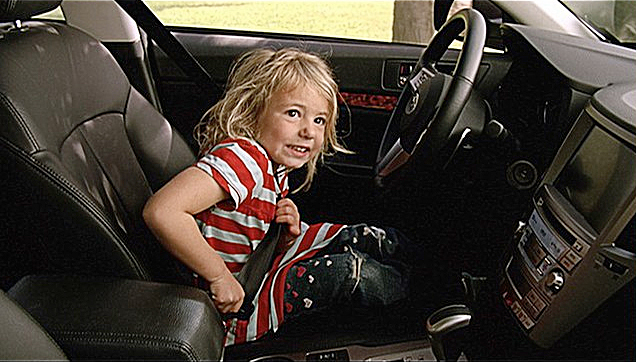 Before driving it, you need to make sure that it is fitted with all the essential safety equipment and devices. Things that you need to install in your vehicle include but are not limited to seatbelts, rear view mirrors, side and front airbags, GPS, electronic stability control, antilock brakes, and head restraints. Fitting your car with these safety accessories will also help you in lowering your insurance premium. Now, this is a very crucial step. Practice makes perfect and since the rate of occurrence of motor vehicle accidents among teenage drivers is quite alarming, it is necessary for every young driver to avoid possible road mishaps. The Drivers Ed Course has to be approved with the concerned Department of Motor Vehicles in your state. These Driver's Prep courses are available online and you can also attend them in person. Some of them even provide DMV Permit Test Online! Experiences tell us that most motor vehicle mishaps take place in the night and drivers involved in these accidents are mostly teenage drivers. Therefore, it is always a judicious step not to drive during the night. For ensuring this, the parents need to keep the keys of the car in their custody. There are car insurance policies that have been particularly tailored for teenage motorists. Usually, the rate of premium is higher than that of their older counterparts. However, if you can show the insurer that you have undergone a safe driving course, this might help you reduce your premiums a bit. You can get discounts if you are a good student as well. Shopping around always helps you find cheap coverage. So, there is nothing to fear in driving a car for the first time. If you know how to drive your car sensibly, you will always cherish the driving experience.